Q. What are the Harbour Office opening hours? Cowes Harbour Office is open: Monday to Friday 0900 to 1700. The Duty Harbour Master can be contacted out-of-hours in an emergency via Solent Coastguard, telephone 02392 552100 or VHF Channel 16/67. Q. How can I find out about the Harbour Advisory Committee? The Cowes Harbour Advisory Committee allows stakeholders to bring issues to the attention of the Commission and assists the flow of information to the Cowes community. You can find out more about the work of the Advisory Committee and if you wish to contact the Advisory Committee representatives just send an email to chac@cowes.co.uk. Q. What is the speed limit in Cowes Harbour? Vessels navigating the Inner Harbour of Cowes, or within 100 metres of the Mean High Water Mark, shall (unless otherwise authorised by the Harbour Master in writing), subject to the requirements of maintaining adequate steerage way and control, be navigated at a speed not exceeding 6 knots through the water. More information is contained in our Speed Limit and Wash section, as well as in Cowes Harbour Commission General Direction No. 3 Navigation and Movement of Vessels. Q. Can I swim in Cowes Harbour? You cannot swim within any channel or fairway or around any mooring areas without the written permission of the Harbour Master. More information is contained in our Watersports and Activities section, as well as in Cowes Harbour Commission General Direction No. 4 Commercial and Leisure Activities. Q. Can I use a jet ski or personal watercraft in the harbour? 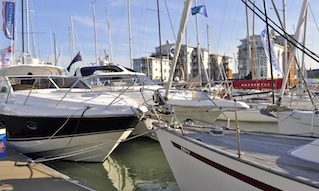 Visitors on jet skis or personal watercraft are welcome and Cowes offers convenient moorings at Town Quay, with trailer ramps on The Parade and in East Cowes. 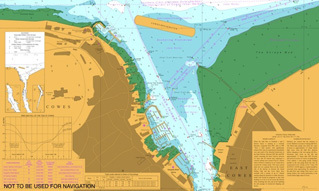 You must observe the speed limits, remain within the main navigable fairways or channels, keep clear of all areas where vessels are moored and be additionally aware of your size and visibility in relation to other vessels, especially the regular Red Funnel vehicle ferry and Red Jet services. More information is contained in our Watersports and Activities section. Q. Does Cowes Harbour have a water taxi? Yes. Information on water taxis operating in Cowes Harbour can be found in the Water Taxis section of the website. Q. 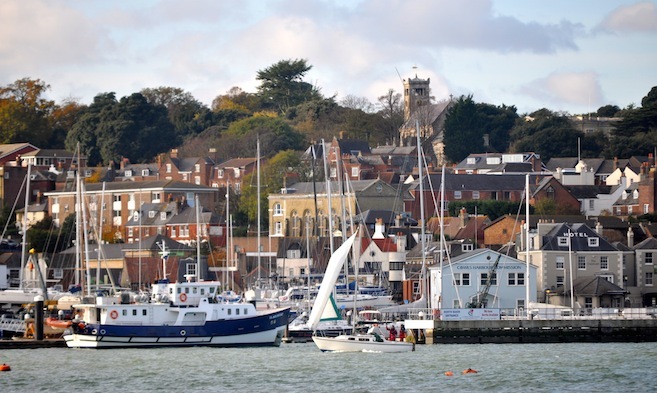 How do I apply for a permanent residents’ mooring in Cowes Harbour? There are a large number of permanent berths controlled by either Cowes Harbour Commission (CHC) or the various local yacht clubs. If you plan to extend your stay, or would like a permanent mooring, Cowes offers exceptionally competitive rates on a seasonal or annual basis. More information on permanent moorings can be found in our Annual Moorings section. 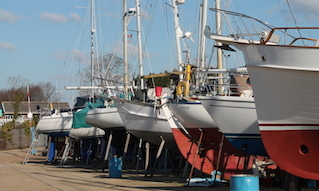 Or, contact the CHC moorings team at Shepards Wharf Marina on Tel: 01983 297821. Q. 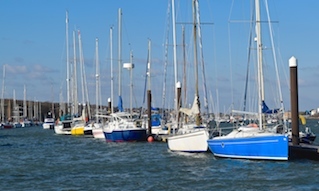 How do I find out about visitor moorings in Cowes Harbour? There are a large number of visitor swinging moorings and river pontoons both in Cowes Harbour and upstream in the River Medina. View our sections on Visitor Moorings and Berthing and Facilities for full information. Q. Are there any restrictions on fishing and angling in Cowes Harbour? More information is contained within our Fishing and Angling section, as well as in Cowes Harbour Commission General Direction No. 4 Commercial and Leisure Activities.